All our exclusive sofas are made bespoke to your specifications regarding length/width. 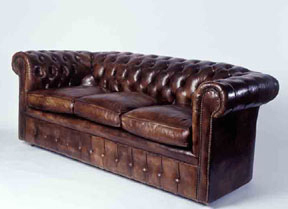 We can also copy any sofa you require or make tailor made frames. Please ask for details of our reupholstering service. We supply ottomans and footstools to compliment any chair or sofa.